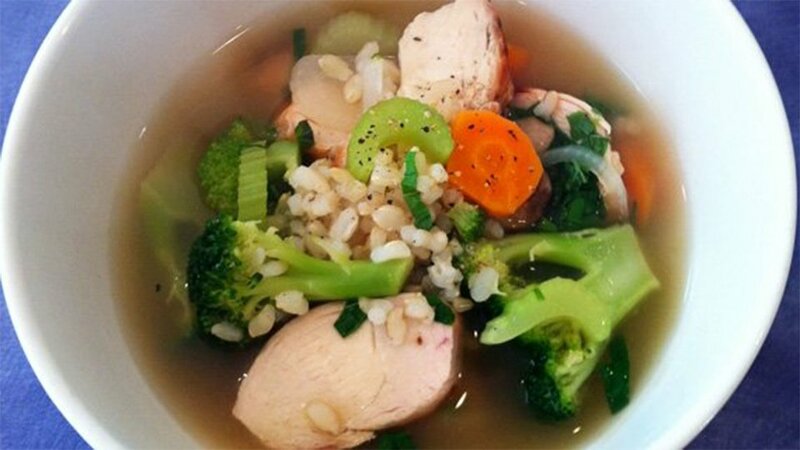 If you need a quick meal, this soup is perfect! Double or triple the recipe and then freeze it in individual containers for an easy lunch you can bring to work. In a separate pot, heat chicken broth and water over medium heat and add bay leaf. Once boiling, add diced vegetables and chicken. Simmer for 4-8 minutes or until chicken is cooked and veggies have reached desired tenderness. Add garlic, spices and brown rice and simmer another 2-3 minutes.